Every year my children look forward to watching the great line-up of Christmas movies on ABC Family's 25 Days of Christmas. We as a family love to watch the shows and movies to get us into the holiday spirit. 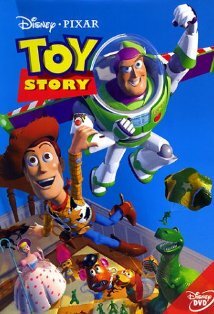 This weekend is the Toy Story weekend. I was sent the ABC Family 25 Days of Christmas lineup and an insulated cup for this post. I was not paid for this post with cash compensation. All opinions are 100% true and my own thoughts. We always look forward to ABC's 25 days of Christmas movies. I am so thrilled they are doing a pixar week. Miss Monk got to watch Finding Nemo for the first time and we are eagerly awaiting WallE one of my personal favorites. I look forward to this every single year!! I was a little disappointed that they added so many NON-Christmas movies this year (like a Harry Potter weekend? do that some other time!) but over all it's been great. So far I've loved the Home Alone and Santa Clause series, as well as Holiday in Handcuffs!